Farming Today | Listen Free on Castbox. The prison farm and gardens at Erlestoke near Devizes in Wiltshire supply food for inmates. Their produce is also sold in the shop. Inmates are growing more exotic crops like chillis, Chinese salads and Thai yard-long beans. The Governor says planting and tending the grounds helps inmates' physical and mental health.Produced and presented by Rebecca Rooney. With lower than average rainfall across parts of north, central and eastern England since early March, and the forecast for dry conditions for the next month or so - farmers are starting to worry about the potential for water shortages. Paul Hammett, a water resource specialist with the NFU, outlines his concerns. 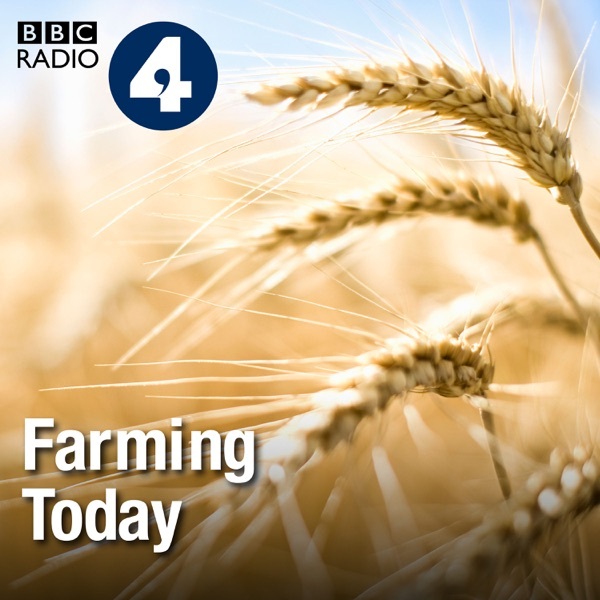 All this week Farming Today focuses on efforts within the agricultural sector to help fight climate change. Cattle in particular churn out methane - a greenhouse gas with a much greater impact on global warming than CO2. Though unlike carbon dioxide, it does break down over time. Professor Eileen Wall, a leading scientist at Scotland's Rural College, explains about her research into breeding cattle which produce lower emissions. A farming family from North Yorkshire is taking to the road to dispense milk to villages around the Dales from a converted horse box, with full cream milk fresh from the cow. And hundreds of campaigners have taken to country lanes up and down the UK on horseback this week, to highlight safety concerns about mixing with cars and lorries on public roads.Presented by Steffan MessengerProduced by Alun Beach. The German state of Bavaria announces it will double its organic land production by 2025. We ask what would happen to food supplies if large parts of the EU did the same.This week we’re looking at re-wilding, how it's being embraced and causing division in the countryside. Today Anna Hill visits the Ken Hill Estate in West Norfolk where nearly a thousand acres are to be turned over to a re-wilding project.The National Trust has commissioned a borehole to bring water to sheep on the chalk downs of Oxfordshire. Rebecca Rooney went to meet their Agricultural Water Engineer, Matthew Barrett, who's in charge of the drilling.Presented by Anna Hill and produced by Beatrice Fenton. it's with despair to overcrowd animals cramped quarters. A difficult manner to run a profitable farm nowadays.